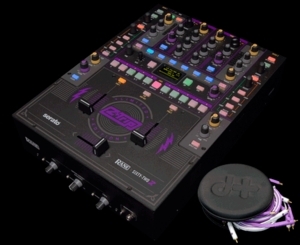 Z-Trip's Limited Edition Sixty-Two Z Mixer is functionally identical to Rane's Sixty-Two with added bonuses: • Face plate design by Shepard Fairey. • Purple and yellow accents. • Includes custom purple cables.